"Katherine Jackson called son Michael a homophobic slur"
This is the headline that leads the story in the New York Post, one of the most sensationalized newspapers in the country. But what do you expect with a family with that many members and that many personalities? Some things within a family unit are not going to work perfectly...will it? We can only conclude that the Jackson family is dysfunctional like the rest of us including the Kennedys. 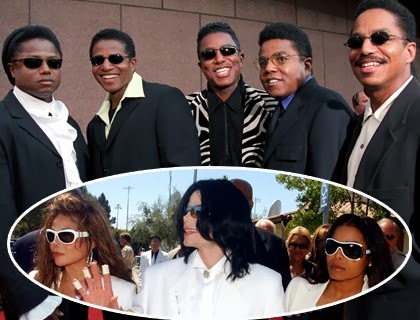 From the NEW YORK POST- After a chance meeting as a young fan, Stacy Brown became friends with Jermaine Jackson — and later the rest of the Jackson family, including Michael. He helped write some of their memoirs, traveled on their tours, and even gave them loans (never to be repaid). Here, for the first time, Stacy explain what it’s like to be friends with the strangest family in America. Why did they all think they could live off of Michael and Janet the rest of there lives.